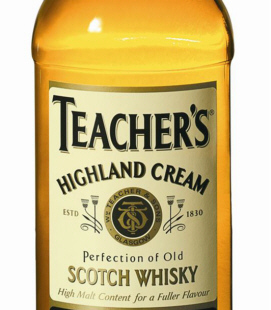 Teacher’s Blended Scotch Whisky, first produced in 1830, is another of the internationally known blends a top seller in Brazil and in India. It has an exceptionally high malt whisky content – no less than 45% which gives a richer, full-bodied flavor. At the heart of the blend is Ardmore Single Malt. There is nothing better than a good teacher!